Chattanooga, TN. My parents honeymooned in Chattanooga, Tennessee, in the early 1950s. Knowing that from an early age has given me a sense of familiarity with Chattanooga that probably exceeds my actual knowledge and experience of the place. When I was a very young elementary school student, I traveled with my parents from Birmingham to Chattanooga for a weekend getaway in the early ‘60s. We hit the highlights of the time which included Rock City, Ruby Falls, the Incline railway, and the Confederama. 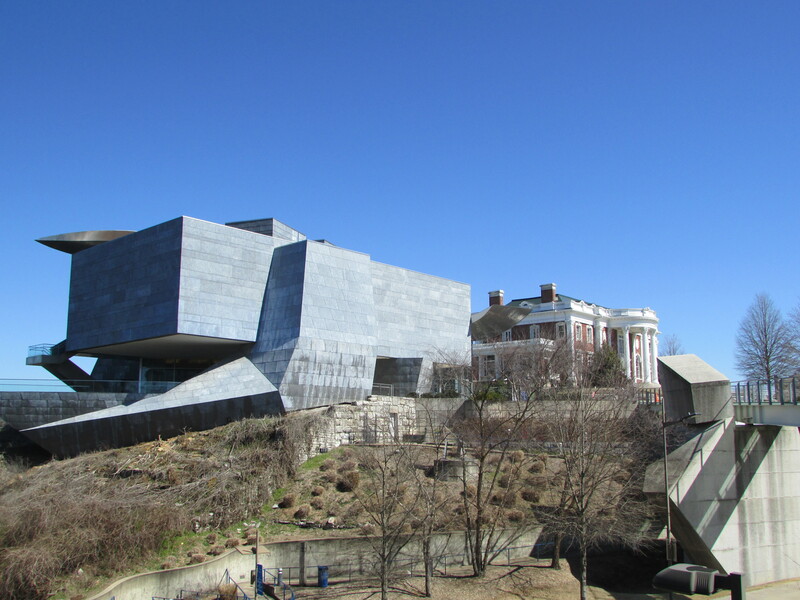 The Confederama, unfortunately, fell victim to political correctness and now exists farther up Lookout Mountain, I hear, in an altered and watered-down form as “The Battles for Chattanooga Museum” in Point Park somewhere near Rock City. As I recall the Confederama from 50+ years ago, it was a relief diorama of the area around Chattanooga with lights and teeny soldier replicas illustrating the Civil War battles; as I recall, there was a distinct Confederate bias. I remember thrilling to the tiny red flashes of guns being fired as a somber recording gave the history lesson. We are entering the last month of the 150th anniversary of the Civil War, an anniversary that began in 2011. When I was an elementary school student in the early 1960s, the Civil War Centennial was ubiquitous. I have been saddened – but not surprised – that the nation has seemed hesitant to discuss that defining moment of our national history for the sesquicentennial. Perhaps right now it’s just too complicated to evaluate. The annual Spring convention of Southeastern Theatre Conference (SETC) is the largest theatre convention in the United States. I have been attending it most years since 1983 with a few gaps here and there. Because of the logistical demands of the event, a few southeastern cities seem to be on the convention’s regular rotation and Chattanooga has been the most frequent host city of the event over the past decade. I spent hours each day at the convention; this year my main obligations were presenting a paper and attending editorial board meetings for Southern Theatre magazine. I decided that in my rare off-time I wanted to check out the current new culinary offerings of Chattanooga, a town in perpetual transition. 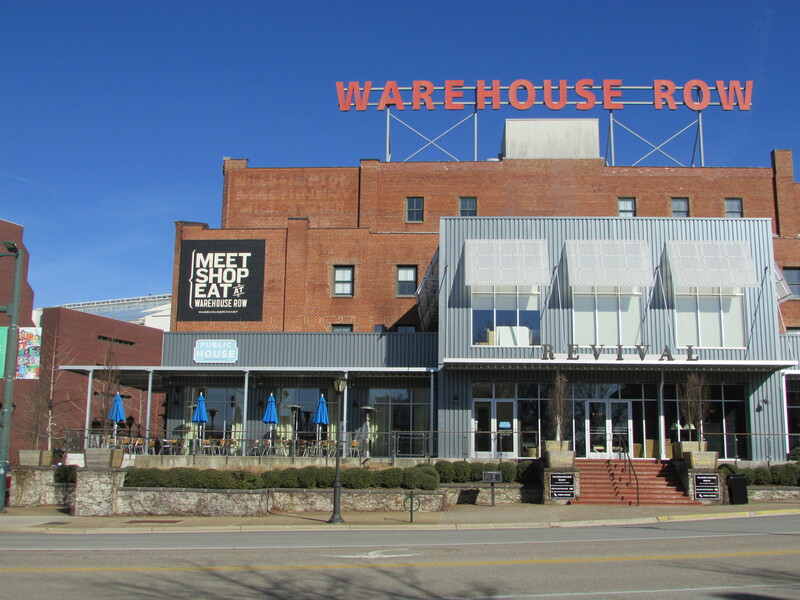 Even though it was my plan to adventure into some new eateries, as it turned out I only dined at Chattanooga restaurants I had enjoyed on previous visits. My desire to return speaks well for the restaurants and the fact that each managed to surprise and delight me anew speaks volumes. When I arrived in Chattanooga on Wednesday evening, I realized that I hadn’t eaten all day and wandered down Broad Street toward the aquarium and the river to check out the options. Among all of the options I remembered a good SETC meal several years back at Easy Bistro and Bar (www.easybistro.com) in a space that used to house “the world’s first Coca-Cola bottling plant.” It’s a lovely space and a good respite from the abundant tourists on the street in that tourist-driven part of town. The chef is New Orleans native Erik Niel and the menu is adventurous and ever-changing and reflects the influences of New Orleans adapted for the hills, rivers, lakes, and tastes of eastern Tennessee. I decided to try a couple of small plates and had Crispy Chicken Skins 3-Ways and a lovely and filling beet salad with feta and onions. Both dishes were creative, beautifully plated, and delicious. Thursday was a busy day full of meetings – bitterly cold and windy with sleet and rain all day – and my dining plans were limited to grabbing quick snacks at the convention and hotel. I presented my convention paper on Friday morning and had already planned to treat myself to lunch at Public House (www.publichousechattanooga.com), a Chattanooga eatery I discovered and loved in 2012. I ordered a couple of small plates at Public House three years ago and have such fond memories of a plate of fried chicken livers with grits and a plate of pimento cheese with fried pickles that I debated eating the same things all over again. But in the interest of expanding my knowledge of the Public House menu I opted for a vegetable plate so I could sample an assortment of dishes. I ordered perfectly prepared collard greens, cheesy mashed potatoes, and a rich mac and cheese combo. 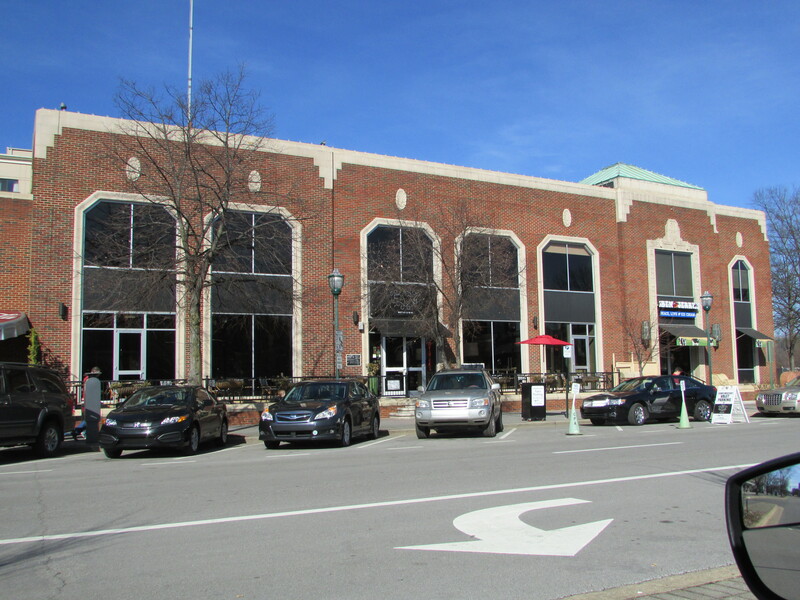 Public House is located in a downtown development called Warehouse Row and is one of those places that emphasizes environmental consciousness and lists many of its local and specialty purveyors on the menu. The space is full of windows and the design is simple, warm, and inviting. Many items on the menu are traditional Southern favorites as mentioned earlier but the preparation and presentation is skilled and a meal there feels uptown and special. The pimento cheese is exceptional – a member of the wait staff told me they use the same recipe that I use (Miss Verba’s from Frank Stitt’s Southern Table cookbook) – and even though I didn’t order it this visit, I found it delightfully stuffed in an olive. My server at Easy had strongly recommended the restaurant’s weekend brunch so I made a second trip to Easy and managed to get there in time for Saturday’s brunch after my last session at the convention. For brunch I had Easy’s version of Eggs Jonathan which was Eggs Benedict with fried oysters added. Once again, it was delicious. Before heading back to the hotel, I wandered down to the riverfront close to the aquarium and up a hill past the Hunter Museum to the Bluff View Art District (www.bluffviewartdistrict.com) with its River Gallery Sculpture Garden overlooking the Tennessee River. After a rigorous convention and the ice and snow of this past February, it seemed like a good portent of Spring approaching and was a relaxing brief escape. Chattanooga’s City Center is compact and very walkable but there is also a good free shuttle that travels between the aquarium and the Choo-Choo, the town’s old train station that is now a hotel. Over the years, it has become traditional for me to meet with a group of friends for a stress-free meal on Saturday night of the SETC convention. This is after the papers have been presented, the workshops presented and attended, the auditions are ended, and the booths are struck. Six of us decided to congregate at Porter’s Steakhouse (www.porterssteakhouse.com) on the street level of The Read House, the historic downtown hotel where I was staying. Sometimes a traditional steakhouse with good company is the perfect way to relax and this Porter’s fit the bill entirely. We enjoyed an exuberant meal, excellent and very patient service, and an evening full of anecdotes and laughter. I go back three decades with some of the people in my dining party and there is always plenty to talk about and to catch up and reminisce about. And there are always plenty of things to laugh about. A perusal of websites shows a wide range of opinions about Porter’s at The Read House but this is my second time to end a Chattanooga SETC there and I was totally pleased. My steak was cooked perfectly and everybody in my group had good comments about their meals. When we were all full, a dessert cart was rolled up and we decided to order one of everything and share. The perfect way to cap the evening was when Russell, a member of our group, revealed that he had ordered a Brandy Alexander for everybody at the table. This is the sort of classic establishment where you know that a Brandy Alexander will be done correctly and ours were. Whenever I leave an SETC convention, I am utterly exhausted and feel a need to sleep for a few days. It’s a nice thought but work always starts again bright and early on Monday morning. 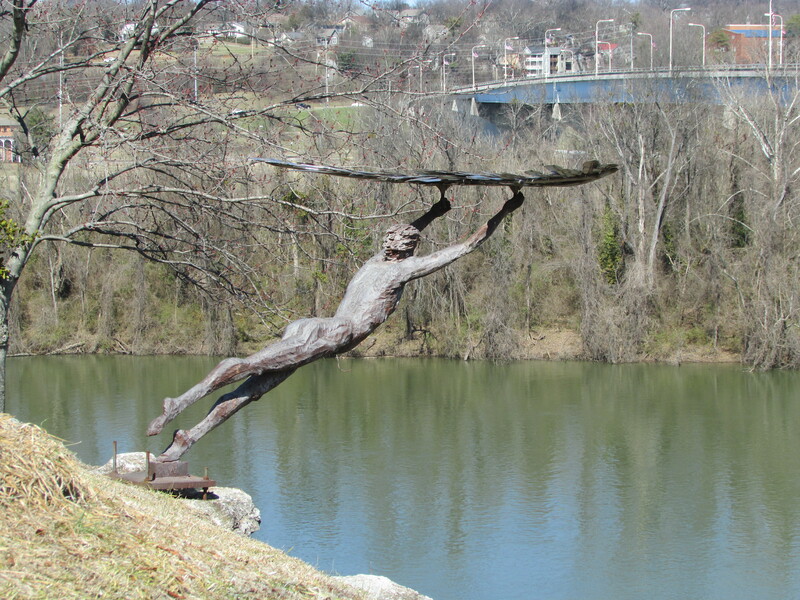 Note on artworks pictured: The sculpture overlooking the river is “Icarus” by Russell Whiting in the River Gallery Sculpture Garden. The end photo is “Roll Wave” by Christopher Fennell, on the riverfront near the aquarium. The lead photograph is the Hunter Museum of American Art. 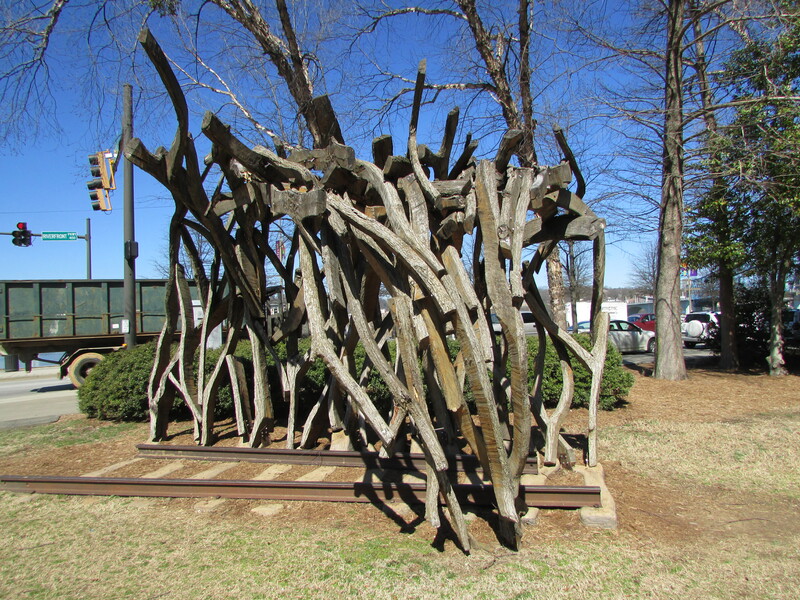 This entry was posted in Chattanooga, food, the south, travel and tagged Bluff View Art District, Chattanooga, Christopher Fennell, Confederama, Easy Bistro and Bar, Porter's Steakhouse, Public House - Chattanooga, River Gallery Sculpture Garden, Russell Whiting, Southeastern Theatre Conference, The Read House on March 9, 2015 by gedwardjourney.